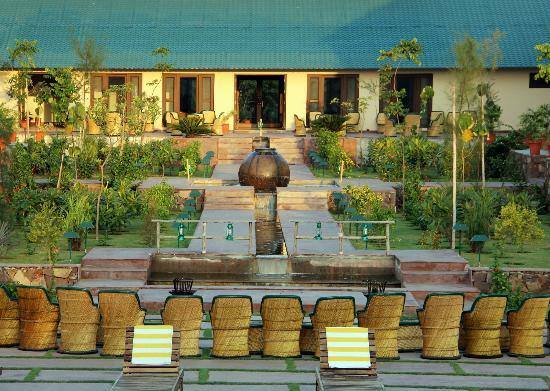 Treasure the harmonious blend of Nature's bliss and avant garde architecture..
What is your idea of a relaxing holiday? 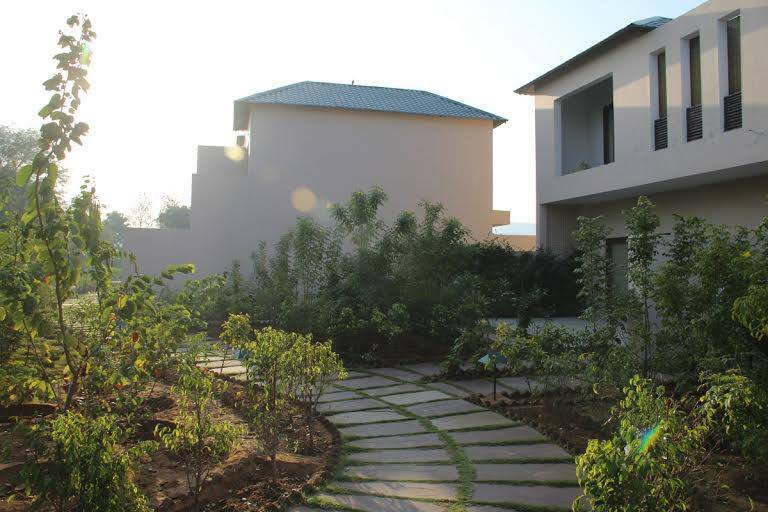 If it includes- disconnecting from the rowdy world, enjoying yourself amidst nature’s wonders and just not doing anything then plan for Ranthambhore Kothi, where you can absolutely do nothing except relaxing, unwinding, and escaping the pressures of everyday world. With jaw-dropping forest outlook, refreshing cool breeze and tranquil atmosphere, holidaying here becomes all the more pleasant and delightful. This nature blessed harbor isn’t too far away- just 145 kms from Jaipur and 364 kms from Delhi. Life here moves at an idyllic pace that allows you to leave the hassle of mad city rush behind and operate at your own pace with no meddling. With a captivating backdrop and plentiful unspoiled natural beauty, the resort is a natural elixir for stress that offers you everything needed to relieve the stress of a long, hectic week, and return home completely recharged & spirited. 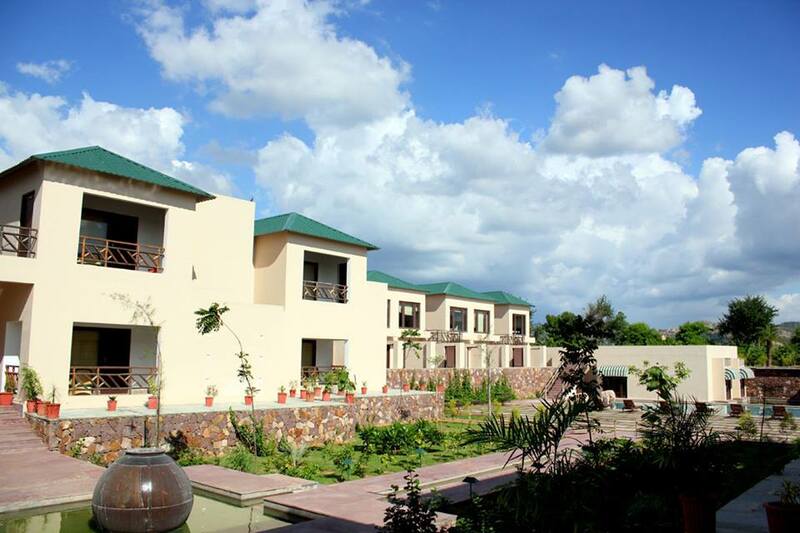 The friendly and welcoming vibe of the resort is highly infectious! 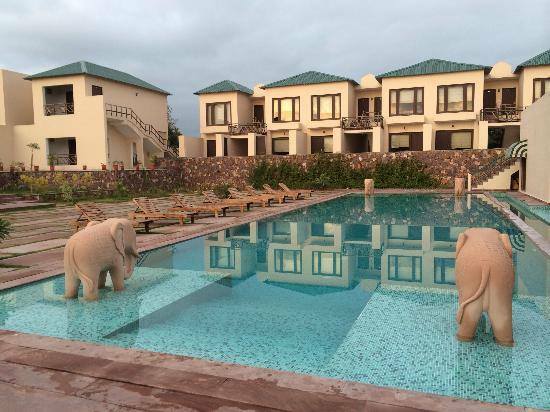 Ranthambhore Kothi is a fascinating destination that combines the luxury of a swimming pool, well-stocked bar, lavish lodging and fabulous food. Having a countryside charm and ample of opportunities to unwind yourself, you cannot go wrong with this wonderful paradise of natural beauty that offers you the best of everything. If you want your weekend to be an indulgent and relaxing treat, your vacation simply must be at this beautiful landscaped resort, where pampering and friendly service is guaranteed. Near helipad, village khilchipur, Sawaimadhopur. 322001.